To describe places or inanimate objects in a film as “actors” is cliché. Writing about Yellow Earth, I’m tempted to do it anyway. The landscape shot by cinematographer Zhang Yimou—made of bobbing, bowl-like valleys, treeless and vast, across which one might still see a friend or enemy walking, hours after they’ve been abandoned—seems like more than a setting to me. It contains the players; holds them together; thwarts them. It forms a pocket universe, isolated from the very busy and fraught time in which the events of the film occur. It is doing something. The location is Shaanxi province, in central China; the year is 1939. The conflict for control of China—between Mao-Tse-tung’s Communists and Chiang Kai-shek’s KMT—has been put on hold, as the sides agree to a truce in the face of a common enemy: the Japanese. War and politics attract all kinds. Gu Qing (Wang Xueqi), a young and sensitive man, joined the Communist army with the best of intentions. His commanders then sent him on an unusual mission, which brings him, at the start of the film, to a village in Shaanxi. He is to mingle with the peasants; talk to them, attend their festivities—and record their folk-songs. 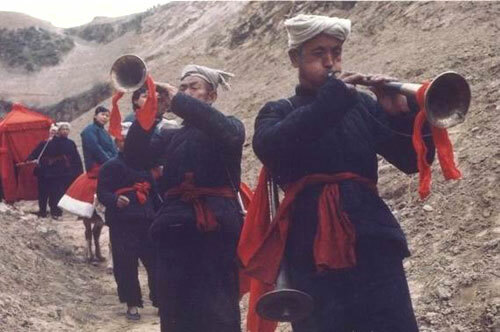 The songs are often mournful, describing the hardships of peasant life. Brother Gu, as he prefers to be called, will take these lyrics back to the army, where they will be modified into military anthems and sung by the troops. Knowing their people still suffer, the troops will be inspired to fight even harder. To visit a new place and learn its songs—surely there was never a nobler military assignment. But Yellow Earth isn’t really about that. It’s about freedom. The first time we see Brother Gu among the peasants is at a wedding—a ceremony for an arranged marriage. A litter, covered in scarlet fabric, is carried past smiling villagers; it comes to rest before an altar and out of it emerges a shockingly young girl. She looks miserable. Her husband-to-be is no catch. The two of them are put, almost violently, on their knees before the altar, and married. So it has always been. The ceremony offends Brother Gu. Later, in the home of his host, Da Shu, he criticizes the practice. 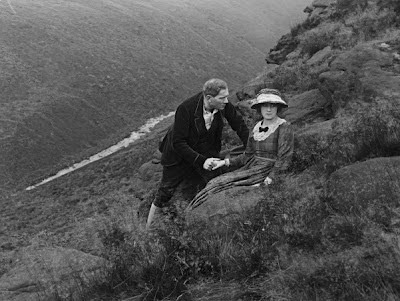 Where he comes from, men and women choose their own mates, and dowries have been abolished. Da Shu (Tuo Tan), wizened at 47, laughs at the prospect. This system is the only one he’s ever known. A poor farmer, and a widower, he’s struggled against starvation all his life. Arranged marriages are guarantees in a life that offers too few of them. This conversation, held by candlelight in Da Shu’s home, is one of several long ones in Yellow Earth. They contain the ideas of the film, they are its brains. 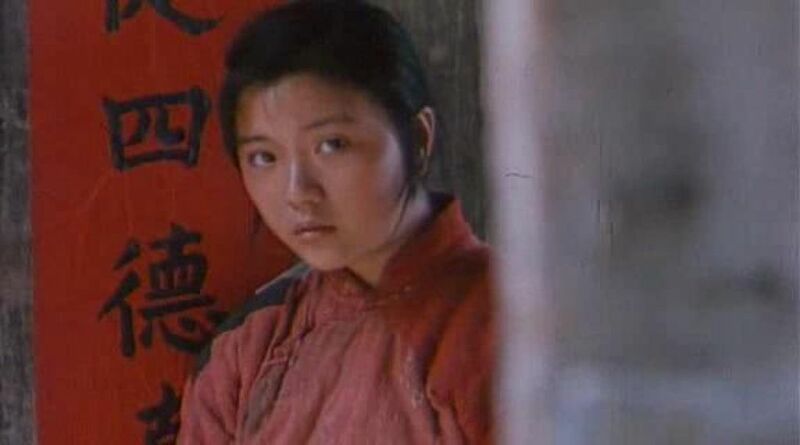 But, though lengthy and rich, they can also feel like interludes, because director Chen Kaige devotes equal weight (if not equal time) to wordless shots of the landscape itself, and to the songs Brother Gu is sent to collect, sung by the peasants as they labour. Call the former the body, the latter, the soul. The finest singer in the village is Da Shu’s second daughter, Cuiqiao (Bai Xue). 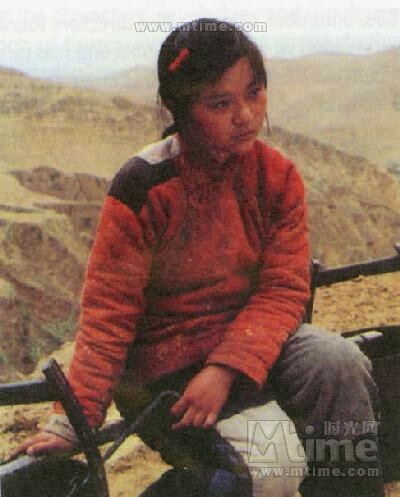 A 14-year-old, she still lives with her father and younger brother, Hanhan (Quiang Liu); every day she hauls water in two buckets from the Yellow River, miles away, to their home. There is an arranged marriage in Cuiqiao’s future too, and she does not want it. The man is much older. Da Shu needs the money to pay for his wife’s funeral and his son’s engagement. The film presents Cuiqiao’s situation as it should: as a relic of the past, best abandoned. But Da Shu is no villain—in his laconic way, he demands Brother Gu offer him a solution that will work here, in this place, under these conditions. All Brother Gu can do is explain how things work somewhere else. They are on a hilltop, resting after a morning behind the plow. Da Shu explains what life is here. There is the sky, which gives water, and the earth, which receives it, and gives life. In a remarkable moment, Kaige pans up from the farmer to the immense and empty sky, then down below, filling the frame with the ground beneath him. Da Shu is stuck in the middle. The scene is unsubtle, but then, there is nothing retiring, forgettable or passive about the terrain these peasants deal with every day. We never see Brother Gu’s world—the world beyond this place. But we hear him speak glowingly of it. 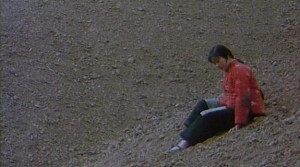 And more painfully, we see Cuiqiao, listening to these tales, wondering if there is a life out there, somewhere, for her. Twice in Yellow Earth we see Cuiqiao engaged in conversations about her future: first with her father, then with Brother Gu. In both instances, Kaige films only Xue, her face conveying hope and fear while the disembodied voice of an older man—off-screen, busying himself with other tasks—dictates where and what the talented young woman can be. It is a preview of her married life. And it is crushing. It is easy to be impressed by the visuals in Yellow Earth. But I was surprised at how quickly and completely I cared about what happened to these characters—to the old man who accepts misery to avoid poverty; to the young soldier who fights tyranny in the name of a future dictator; and to the young woman who longs for a life of her own. For Cuiqiao, there is nowhere to walk to but the river. But the river, perhaps, can be her way out. 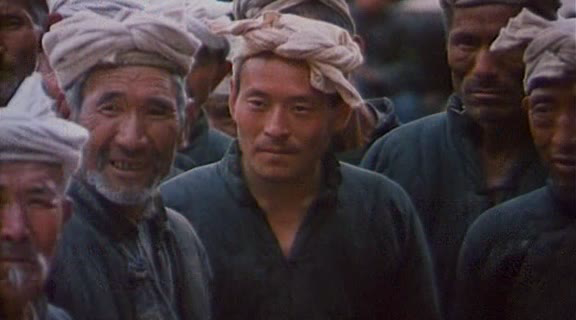 Yellow Earth screens at TIFF Bell Lightbox on June 7 and July 12, 2013—part of the multi-film retrospective, A Century of Chinese Cinema. Director Chen Kaige will be on-hand for the June 7 screening. A note about the print: it has been well-loved. The muddy colour and heavy scratching is frustrating at times, but t least it’ll whet your appetite for a restoration. Someone needs to get on that, if they haven’t already. I would love to see Yellow Earth in its true glory.